The communist-on-its-face nature of these and other demands of the organizations under the BLM umbrella are a clear indicator of the real intent of BLM. The deep-pocketed funding by the likes of Soros, the Center for American Progress, the Ford Foundation, and Borealis Philanthropy show that BLM is the means, not the end. BLM is little more than a tool of social revolutionaries hell-bent on destroying America so they can build their long awaited dystopia which they attempt to pass off as a utopia. So with Hillary's poll numbers decling rapidly, and a debate looming that she would desperately like to be focused on domestic division as opposed to every email, pay-to-play, foreign policy misstep, and cough or stumble she has taken; is anyone shocked that 'out of state' protesters would turn up in Charlotte suddenly turning a peaceful but angry protest into tear-gas-filled deadly riots? And who is a big donor to Clinton? Financier George Soros founded what would become the Quantum Fund in 1969 with $12 million. According to the Bloomberg Billionaires Index, he's now worth $24.7 billion and continues to invest through Soros Fund Management, a family firm. As a political donor, Soros has been mercurial. In 2004, he contributed $23.5 million to organizations opposing George W. Bush's reelection effort. In 2008, he donated $2,300 to both Clinton and Barack Obama, and that was it. Soros's Open Society Policy Center, the advocacy arm of his philanthropic network, spent $8.2 million on lobbying Washington in 2015. It focuses on international human rights, immigration, foreign aid, public health and criminal justice reform, among other issues. 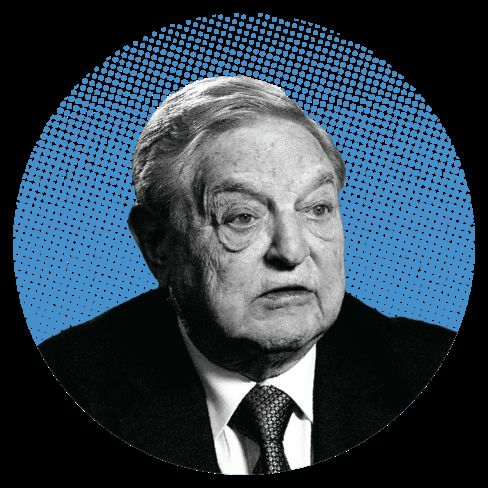 Since 2003, Soros has contributed $54 million to federal candidates and committees.